If you have any of the dry eye symptoms on this list, we’d like to introduce you to an exciting bit of new technology we have in our clinic. Dry eye disease occurs when your eyes do not produce enough tears or produce poor quality tears. That’s why it’s essential you get your tears analyzed by your eye doctor. 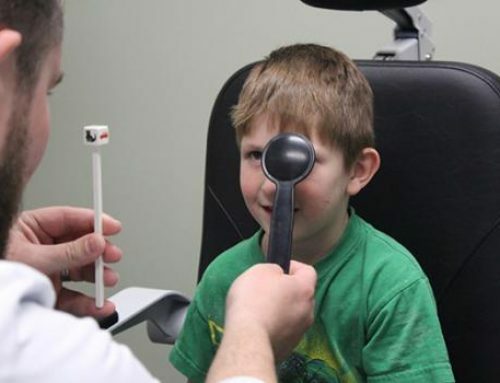 Only an eye doctor can properly diagnose your problem and treat it appropriately. 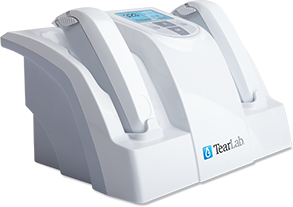 The TearLab device allows for quick and painless testing of the quality of your tears right in the office. We will take a sample of tears no larger than the period at the end of this sentence from each eye and use the TearLab device to measure osmolarity (the saltiness of your tears). As osmolarity in your tears increases, ocular surface cells become damaged. Determining the initial osmolarity score for your eyes allows Dr. Goff to design a custom treatment plan tailored to your unique situation. This eliminates the trial and error approach that frustrates so many patients with dry eye. We can then track your progress using repeat testing to further optimize your treatment plan. Schedule an appointment to learn more about this exciting technology and to get relief from your dry eye symptoms.